03.12.18 Cynthia Cui won the Remembering Bobby Fischer Houlton Tournament with a perfect 4.0 points in four games. 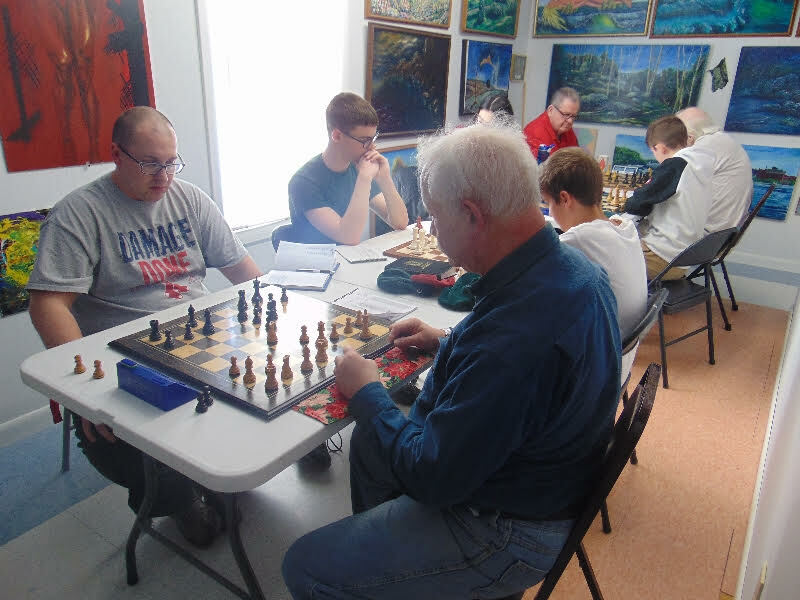 The tournament, played in Houlton, Maine on the American World Champion's birthday--March 9th--attracted ten players in one section. Trailing Cui were Roger Morin in clear second and Tom Sandford and Nathan Gates who tied for third with 2.5 points. Tournament winner Cynthia Cui plays on board two at the Remembering Bobby Fischer Houlton Tournament on Saturday, March 9, 2019. Thanks to Roger Morin for contributing to this report. Bobby Fischer would have been seventy-six years old on March 9th, 2019. 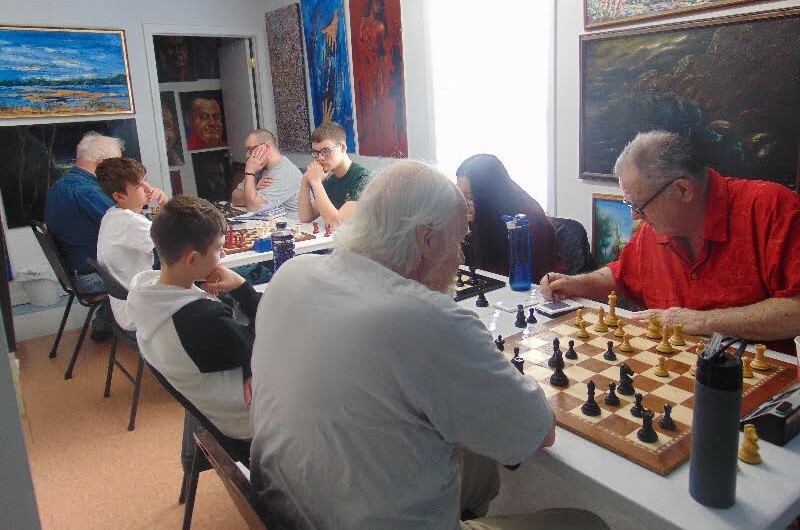 To commemorate his birthday, tournament organizer Roger Morin hosted the Remembering Bobby Fischer Houlton Tournament. Rising to the top of the crosstable was the Canadian scholastic player Cynthia Cui who sent all four of her opponents packing in rapid succession. Cui's victims were: Vadym Stoilov (1615), Ben Mock (1724), Tom Sandford (1700), and Nathan Gates (1650). Congratulations to Cynthia on this outstanding performance. Roger Morin took clear second place by amassing 3.0 points with draws in rounds two and three with Tom Sandford and Nathan Gates. Sandford and Gates finished equal third with 2.5 points apiece. Ray Haines, Ben Mock and Tristan Cousineau put up 2.0 points and tied for fifth place in the ten-player field. Lance Beloungie, Vadym Stoilov, and Roger Hardison rounded out the crosstable in eighth through tenth place respectively. To quote Marcel Duschamp: "All artists are not chess players but all chess players are artists." 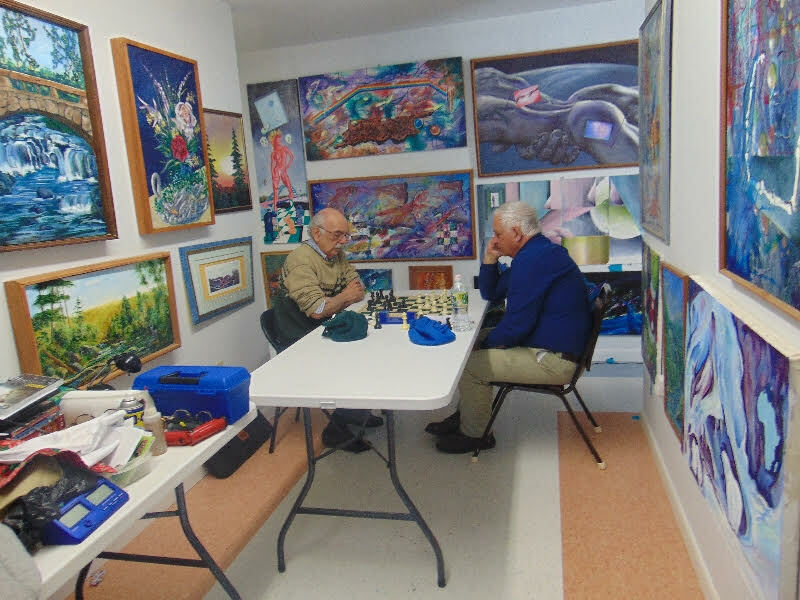 Tom Sandford (left) and Roger Hardison try to create a masterpiece of their own in the midst of paintings hanging in the Art Studio in Houlton. Nathan Gates (left) plays Ray Haines in round one of the Remembering Bobby Fischer Houlton Tournament.